Well... Harling Point does rock, but I focused a little effort on the rocks today. I've been nursing a nasty cold the last couple days, but I had to make a run in to Victoria late this afternoon. I was going to head to Clover Point, but as I rolled by I could see there were lots of cars and no gulls on the rocks. I opted for Harling Point instead. When I pulled up to the outskirts of the Chinese Cemetary, I was getting my gear together and then I heard the rolling chatter of Black Turnstones. I was excited to check out the rock-loving shorebirds in hopes that a Rock Sandpiper would be in the mix. I headed to the shore in the direction of the calls and found the rocks were alive with movement. 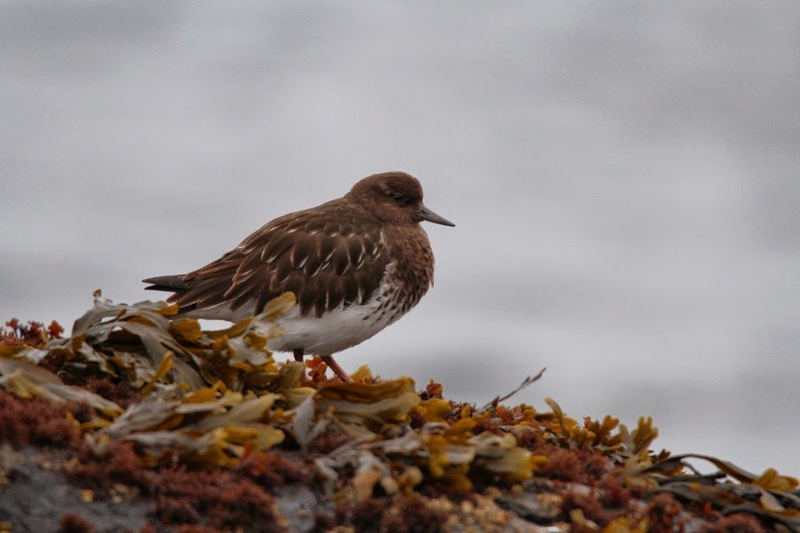 Black Turnstones made up the majority of the birds, but there were several of each Surfbirds and Dunlin. Something put them up before I even made my way down to the rocks and I thought they might have left. Three Black Turnstones stayed behind for an extra minute and when they flew around the corner, I could tell they were heading to rocks on the east side of the point. As I made my way around, I kicked up a Savannah Sparrow which is a pretty uncommon winter bird along the coast. I also saw some Bear's-foot Sanicle (Sanicula arctopoides) starting to come out. That is always a sure sign of spring. 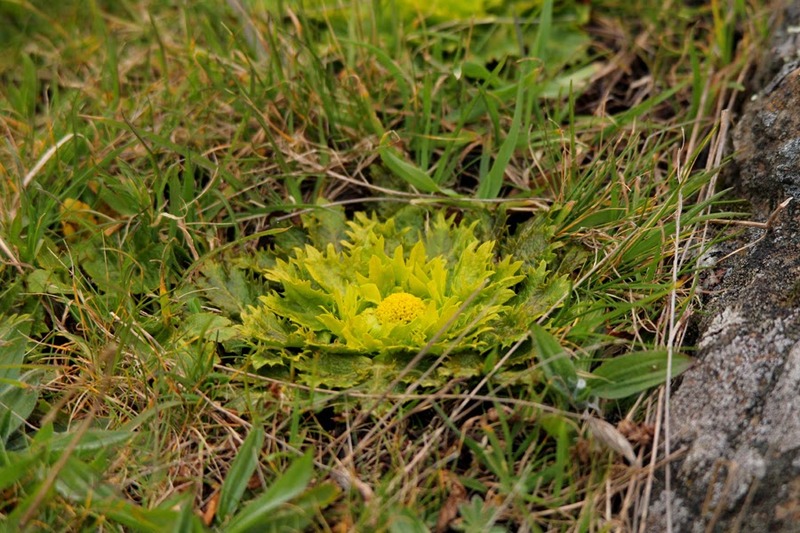 In fact, another common name for it is Footsteps of Spring. 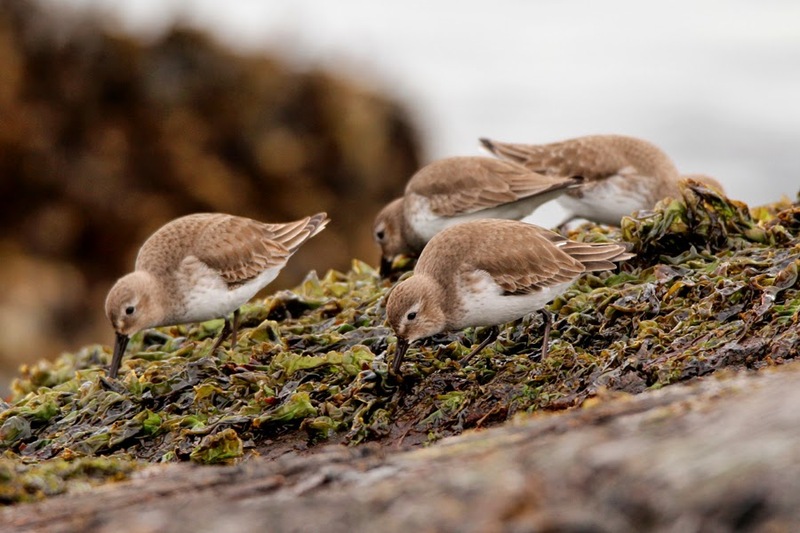 When I came up over the rock outcrop and looked down on the eastern rocky shoreline, I found the group of shorebirds busily picking through seaweed for invertebrates. I slowly worked my way down and eventually got myself to a great spot to watch and attempt to photograph the three species. Here are the results. 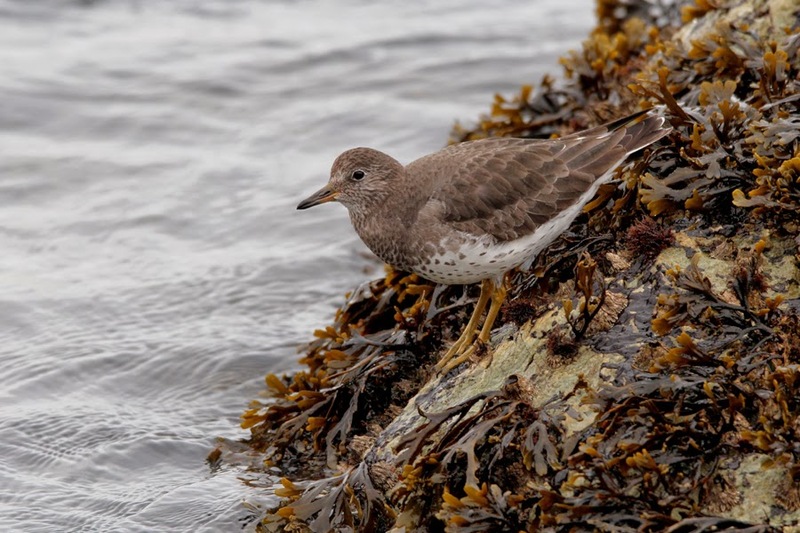 This was another Surfbird shot I was quite pleased with - they are sharp birds! Not a bad way to spend 45 minutes while Janean was getting her hair cut. If you're in Victoria in the next while, it's worth checking if the tide is low and heading to spots where there are rocky islets. 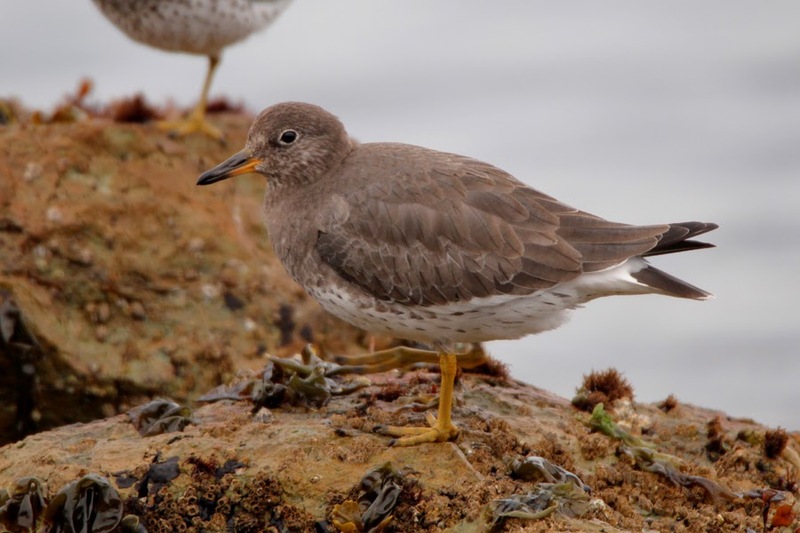 They should be sporting groups of rock-loving birds and could even have a Rock Sandpiper in the mix.